Green Building Council Finland brings together knowledge and expertise in sustainable development as well as represents its members in the field both domestically and internationally. The core functions of GBC Finland are advancing the policies of sustainable development linked to built environment and environmental classifications of the building industry, sharing and forwarding know-how, activating the dialogue and discussion, and connecting Finland to the international World Green Building Council network. GBC Finland is active on all levels of sustainable development and its life-cycle. The key focus is to encourage and advance the use of practices and methods that support sustainable development in the built environment. GBC Finland is both an association and a network. The network of GBC Finland consists of over 130 member organizations with hundreds of experts and our active co-operation partners. You can read about GBC Finland’s projects on figbc.fi/en/projects. Please note: because the language used in GBC Finland is Finnish, not all information is translated into English. Should you have any questions, the personnel would be more than happy to help. Please contact GBC Finland via e-mail: info(at)figbc.fi. GBC Finland strives to make the aspect of sustainable development a natural part of both the real estate and construction industry. Taking energy and environmental efficiency into account yields significant benefits for the owners, investors, users, builders, and developers of the Finnish built environment. GBC Finland promotes new and innovative solutions and offers impartial information and studies to be used by member organizations in their decision-making. GBC Finland also provides its members with training in sustainability, information services, and development. GBC Finland also brings a national perspective on how to adapt international environmental certifications, such as LEED and BREEAM, to Finnish real estate. GBC Finland’s thematic emphases for the years 2018-2022 are carbon neutrality, circular economy, and more sustainable life. GBC Finland also continues its deep-rooted basic function as well as enhances its operational readiness. From the very beginning, the basic function of the association has included for example active committee work, communication, developing tools that advance sustainability, and advancing the sustainable development in its entirety. The core of the operation is local and international cooperation that is concise and brings together different points of view. Enhancing the operational readiness is necessary to achieve the thematic emphases, to answer the needs of members, and to ensuring the effectiveness of the operation. 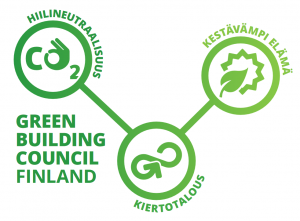 CARBON NEUTRALITY: GBC Finland brings carbon neutrality to the awareness of the agents of the building and construction industry. The association also gathers the collective view of the industry in order to encourage the agents to set themselves goals in achieving carbon neutrality and starting to administrate their actions to achieve the goals. Why: The building and construction industry is widely moving towards life cycle development. Instead of only thinking about energy efficiency, a carbon footprint considering and minimizing the whole life cycle of a building is about to emerge. The goal is that in the future building new and utilizing existing infrastructure is carbon neutral and based on recycled materials and renewable energy. In Finland, the worldwide battle against climate change can concretely be seen for example in how many major cities have set themselves strict goals to work carbon neutrally by the year 2030. Same with organizations: they work determinedly regardless of the industry with for example investments, and public organizations find means to direct towards carbon neutrality. Cities and built environment play a major role in moving towards a carbon neutral society. 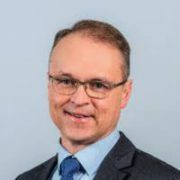 How: GBC Finland effectuates and participates in development projects regarding carbon neutrality as well as promotes the utilization of tools such as the RELA project, the Levels piloting, and the EeMap project. 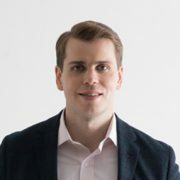 CIRCULAR ECONOMY: GBC Finland concretizes the meaning of the circular economy in the built environment and activates the agents of the industry to develop and offer new products and services that are based on circular economy. Why: The building and construction industry spends globally 40 % of materials and causes over a third of greenhouse gas emissions. The possibilities of circular economy in building and construction industry are vast and new business chances can be seen. Many of the national and international agents (such as the EU) strongly support the transition to circular economy. World GBC and the GBCs of many countries work determinedly amongst circular economy. The concrete meaning of circular economy in construction industry has not yet been established, and right now is the “momentum” to solve this case. How: GBC Finland has a great position and basis to strongly act as the agent that defines and concretizes circular economy – also via international co-operation. GBC Finland effectuates the circular economy sprint as well as tests the Levels framework and promotes its use. MORE SUSTAINABLE LIFE: GBC Finland promotes the transition towards a sustainable urban life that is enabled by the built environment while focusing on people in the center of sustainability. Why: A sustainable built environment is not only energy efficient and functional in the technical sense – it also is genuinely user-friendly and creates wellbeing. The built environment is at a historical turning point: the networks are digitalized and enable a better planning, service experience and participation in creating a sustainable city. A change in the market towards sustainability is happening for example in energy efficiency and emission efficiency, and in the following years the pace of change will likely increase. GBC Finland can help its members and the surrounding society to reach the crest of environment-friendly construction, living, and lifestyle. The built environment must support the urban sustainable lifestyle. The quality of life must be emphasized, and the people must be at the center of attention. How: GBC Finland expands the concept of green. The association emphasizes the possibilities of residents, customers and users to make a difference. It also promotes the renewal of cities to enable a sustainable life. 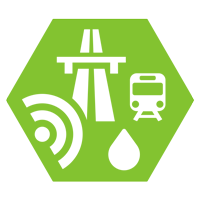 Professional real estate owners, developers, occupants, facility managers, planners, designers, contractors, and commercial and industrial enterprises can apply for membership in Green Building Council Finland. In these committees industry professionals address current topics, look for opportunities to work together, and share the experience their organization has of the best practices promoting sustainability. The committees work with both the public and private sector and collaborate on projects. 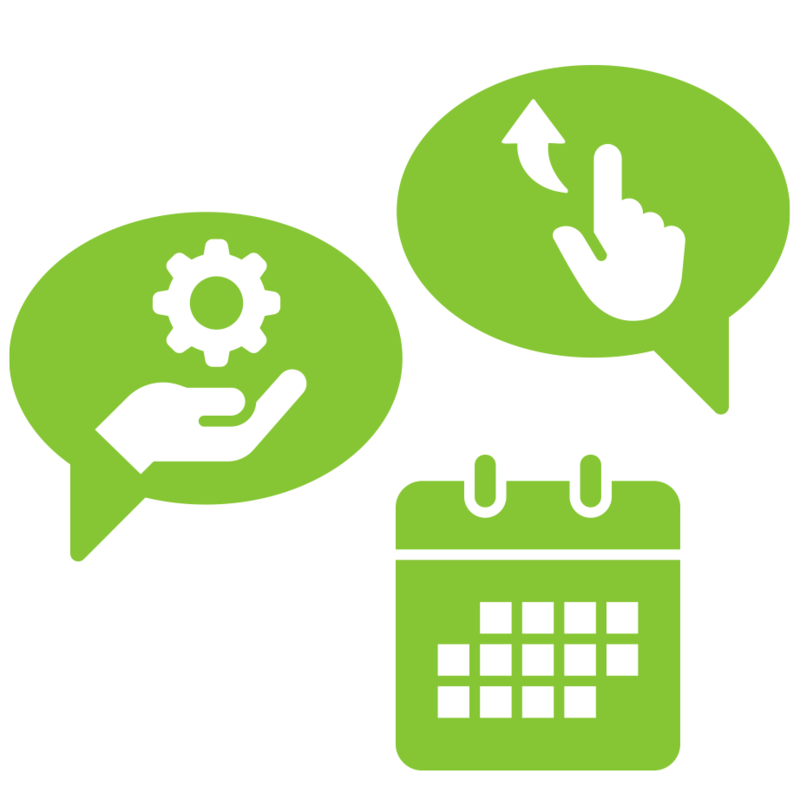 The committees are open for all members of GBC Finland. Currently there are over 185 experts from 80 organizations working in the committees. The national Green Building Councils around the world are non-profit, non-governmental organizations that promote sustainable building practices. Green Building Council Finland and the other national Councils belong to the worldwide Green Building Council network. For more information on World Green Building Council, please visit figbc.fi/en/network and www.worldgbc.org. You can also watch this short introductory video.